Anyhow -- What I am asking for is basically what the title says. 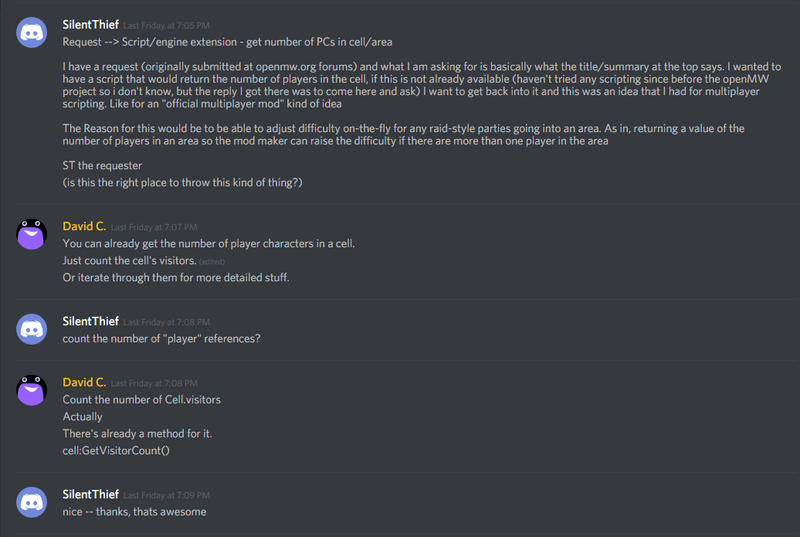 I wanted to have a script that would return the number of players in the cell, if this is not already available (haven't tried any scripting since before the openMW project, and I want to get back into it and this was an idea that I had for multiplayer scripting). That's probably something that needs to go directly to the TES3MP devs unless you want to create the pull request yourself. You might need to go via their discord instead of just this subforum, as I don't know how often they actually check it.